You are here because you already have an account and you want to enroll in a new course, right? Well, then let’s get started. By the way, if you are here because you were told you already have an account, but at the same time you don’t have the slightest idea what your password is, then click . This will redirect you to a page that allows you to enter your email address and reset your password using an email sent to you. 2) Enter your Self-enrollment code and click . 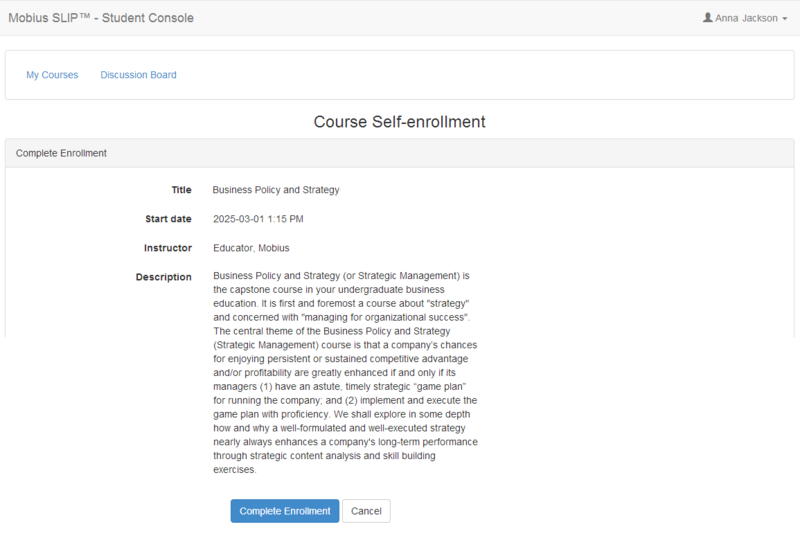 3) The page should display your course’s title, instructor, and description. Verify that those are correct and click . If not, click , confirm your Self-enrollment code and repeat Step 3. You are now enrolled. See the Payment Information section for directions on how to pay for your course.